The committee serves to represent, promote, and advocate the information policy interests of the Association regarding policies, laws, regulations and other developments that may affect the Association, law librarianship, law libraries, or the dissemination of information, with the exception of copyright issues, which are governed exclusively by the Copyright Committee. The committee shall monitor all federal and state legislative, regulatory, and judicial developments, with the exception of copyright issues, that may affect the Association, law librarianship, law libraries, or the dissemination of information, and shall advise the Executive Board and the Government Relations Office about these issues. The committee shall coordinate with the Government Relations Office to communicate Association views on information policy issues to all levels of government. The committee may, in accordance with committee and Association policy, work with the Government Relations Office to prepare and communicate Association positions to appropriate governmental bodies and to other interested groups, while keeping the president and the Executive Board informed of all such efforts. On critical issues, the manner of communication shall be determined by the chair, the government relations director, and the president. The committee shall inform the membership of notable information policy issues and other relevant matters and provide educational opportunities and tools for the membership in information policy and advocacy. Committee members will serve as liaisons to chapter government relations committees and support the local advocacy efforts of chapters and individual members. The committee will select one or more recipients every year for the Public Access to Government Information (PAGI) Award and the Robert L. Oakley Advocacy Award, or no recipients if it deems none of the nominees sufficiently qualified, and will submit the winning recipients’ name(s) to the Awards Committee. The Awards Committee will oversee the grant of the PAGI Award and the Robert L. Oakley Advocacy Award to the recipients selected by the Government Relations Committee. During busier months, such as when the committee develops annual meeting program proposals in the fall, or is working on special projects, the time commitment rises to the higher end of the range. Note: Time commitments are estimates from past assignments and can change with new projects or requests for assistance from the Executive Board. Members must have an interest in and knowledge of government policy issues and must be willing to commit a significant amount of time to the committee’s work. 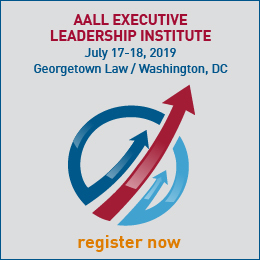 All members must submit a conflict of interest statement in accordance with the AALL Conflict of Interest Policy. When appointing members to subcommittees or to work on particular tasks, the chair shall use his or her best judgment to avoid any real or perceived bias or conflict of interest. The committee shall normally consist of a chair, a vice chair, nine members, and a non-voting Executive Board and staff liaison. Normally the president serves as the Executive Board liaison to the committee. In addition, the president-elect may choose to appoint one or more members with significant information policy expertise to serve as informal advisors to the committee. When making appointments to this committee, the president-elect will strive to achieve a balance among the interests of members employed in different settings, whenever that can be accomplished while also meeting the requirements of Government Relations Committee membership. When appointing the chair of the committee, the president-elect shall use his or her best judgment to avoid any potential or perceived conflict of interest. Copyright Committee – When the committee encounters issues related to copyright or licensing law, it shall consult with the Copyright Committee, which has exclusive committee jurisdiction over copyright issues. Digital Access to Legal Information Committee – When the committee works on issues related to electronic legal information or citation reform, it shall consult with the Digital Access to Legal Information Committee. Awards Committee – The committee shall work with the Awards Committee regarding the Public Access to Government Information Award and the Robert L. Oakley Advocacy Award. 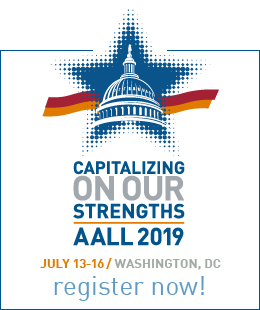 In addition, the committee may work with the Annual Meeting Program Committee, the AALL representative to the Federal Depository Library Council, and the Council of Chapter Presidents, for issues related to those constituencies.